Micro needling at home is not as scary as you might think. 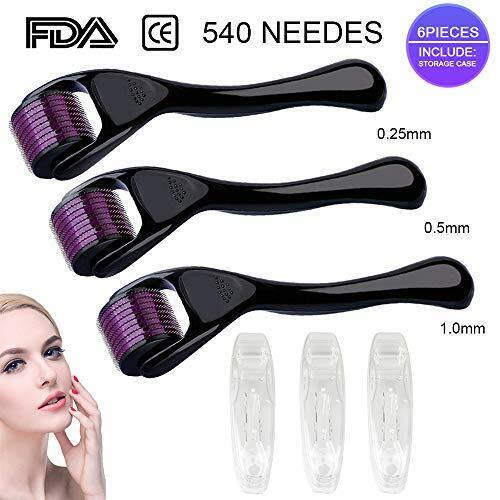 Derma rollers might look intimidating, but they’re not so bad regardless of what some people say. 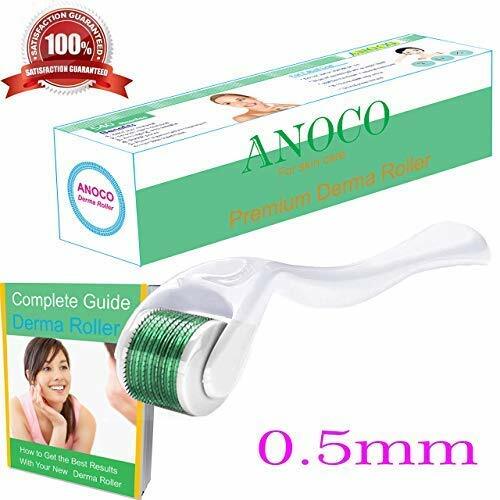 After you have tried every scrub, facial and chemical under the sun and see no change to your skin, at this point a derma roller starts to look pretty enticing instead of scary. 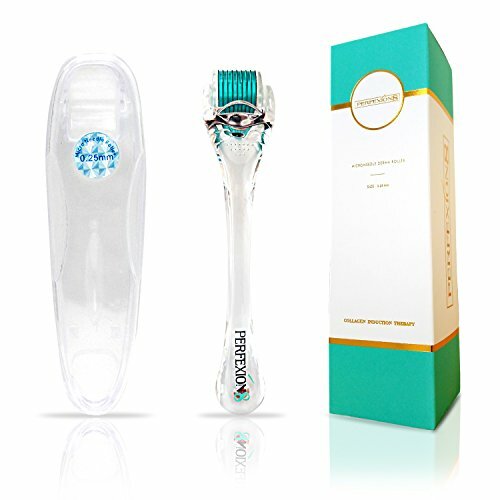 If you use the right size needles, derma roll properly and keep your derma roller sanitized you will be fine and see results in no time. If you don’t feel comfortable derma rolling yourself I would recommend you see a professional. *Note derma rolling and micro needling are the same. 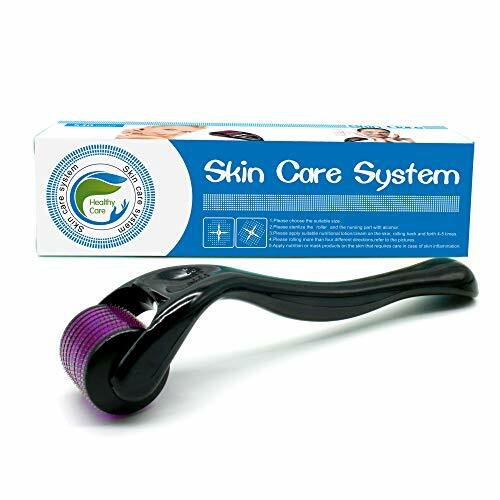 A derma roller does not remove acne. There are different size rollers but only a few sizes can be used at home. See below. Never derma roll if the next day you plan to shave, wax, work out or be in the sun for a long period of time. Wait at least 24 hours without doing these activities. I suggest you do these activities at least 24 hours before you use the derma roller. If you don’t wait you will have a severe burning or itching reaction. Not good, it happened to me the first time. 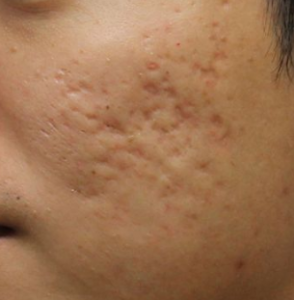 If this happens to you apply organic aloe vera to help sooth the skin. And stop doing what caused the irritation. 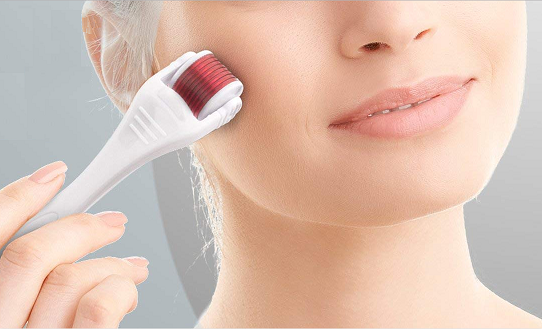 If you have decided to do micro needling at home it’s important you know which derma roller is right for your skin care concerns. 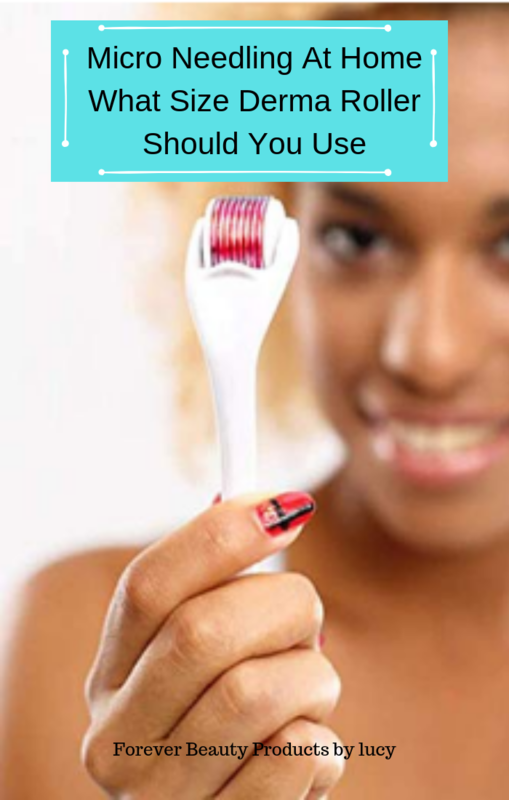 There are two things you need to look at before you buy yourself a derma roller. 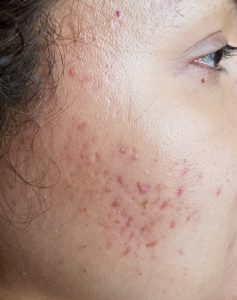 What Size Head Should I Use When Micro Needling At Home? The size head is how wide the actual roller is and this is determined by the number of needles it has. Basically the more needles the wider the roller is. 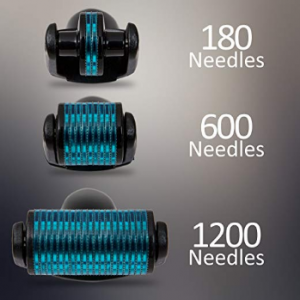 Derma rollers range from 180 to 1200 needles. 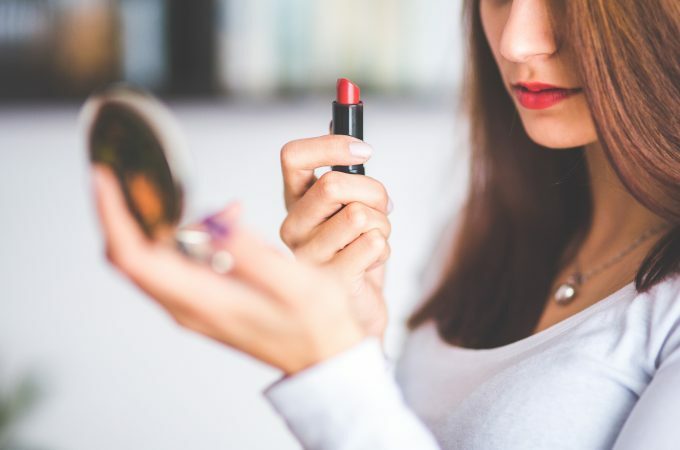 Heads that range between 300 to 600 are a good size for the face, neck and the armpits. Rollers that have 180 needles work best for smaller areas such as under the eyes and for the nose. Anything above 700 is for larger parts of your body like the chest, abdomen, legs and even your buttocks. 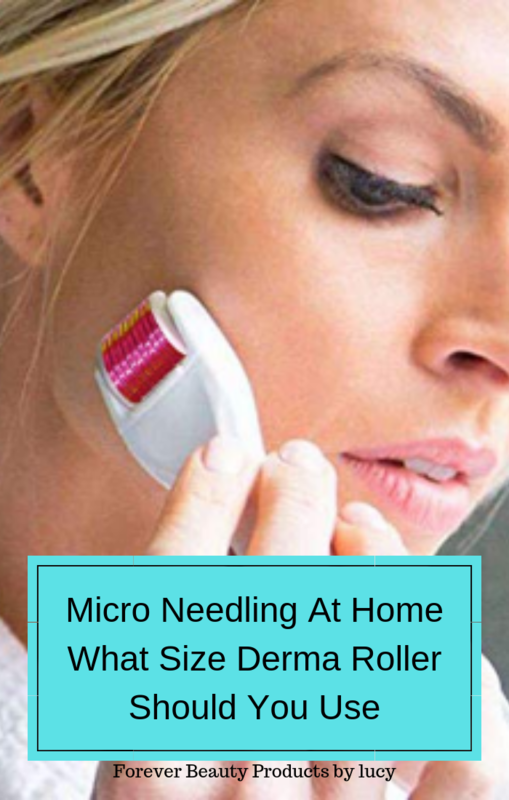 What Length Needle Should I Use When Micro Needling At Home? 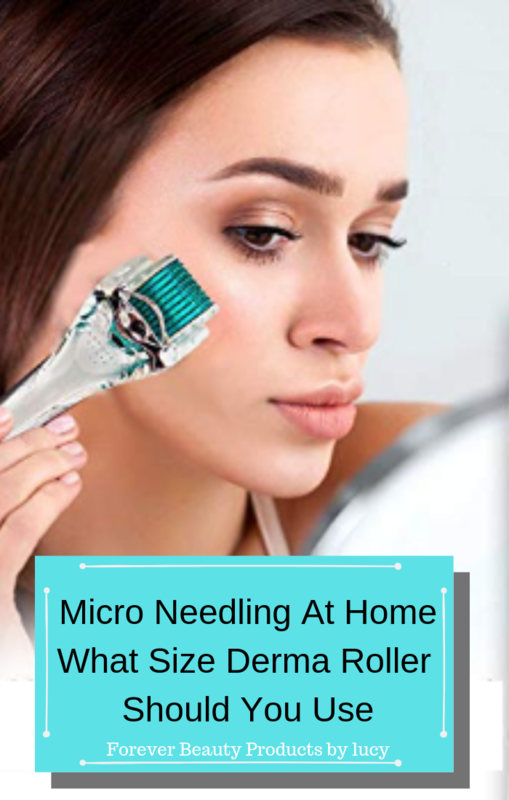 I mention what size needle should one use when micro needling at home the reason is there are lengths of needles that should only be done by a professional. A professional would have the adequate tools and not to mention the anaesthesia that would best numb your skin when deeper penetration is needed. Needle lengths .2mm through 1.5mm are safe to use at home if used properly. Over the counter numbing creams with 5% lidocaine will do just fine with the length of those needles. But if you don’t have too much pain tolerance than I would recommend you see a professional instead of micro needling at home. 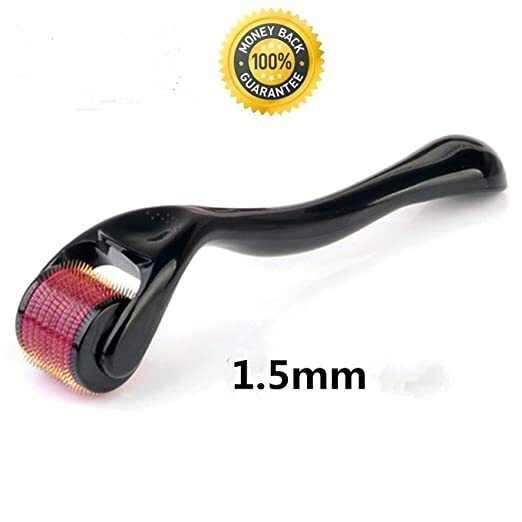 This is very important; if you have not used a derma roller before or have not used one in a while you need to gradually work your way up to the length needle you need. I would recommend starting with the .2mm when you want to get to .25mm. All other sizes start with the .25mm and work your way up to the desired length needle. For each size use it at least two times before you jump to the next size. Now as I mentioned you need to use the proper needle length for each area. Only use .2mm through 1.0mm on your face, neck, chest and armpits. Needle length 1.5mm is to only be used on the rest of the body. Also for the neck, I would advise using .2mm though .25mm at the most. The size .2mm is not on the chart but it is mostly used for serum penetration on the neck and face as well as the armpits. Such as brightening serums, or anti-ageing serums. 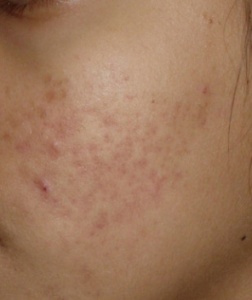 With acne scars it does not matter the number of scars, what matters is the depth of the scars. 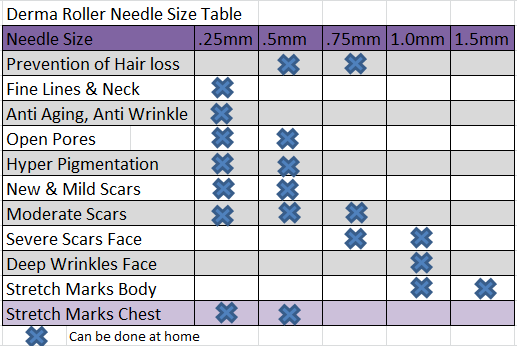 I have included some pictures so you can have an idea to which length needle is best for you. 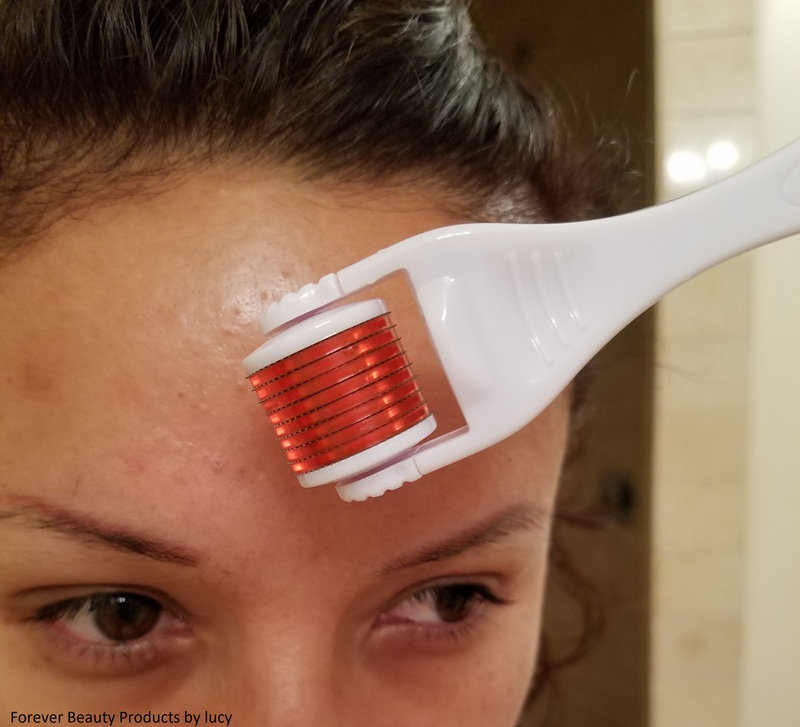 If you have acne scars you might want to read this: How to use a derma roller to get rid of acne scars. 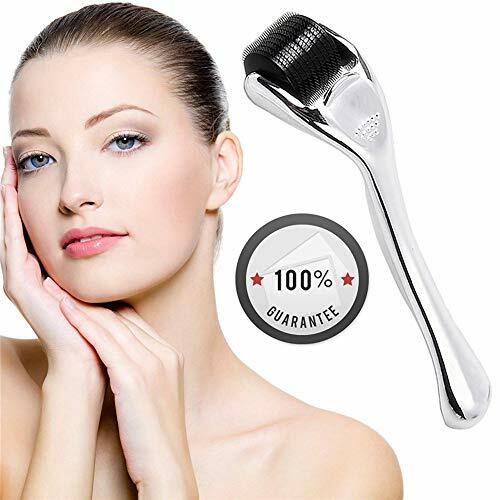 Every time you use a derma roller your skin rejuvenates and rebuilds itself. 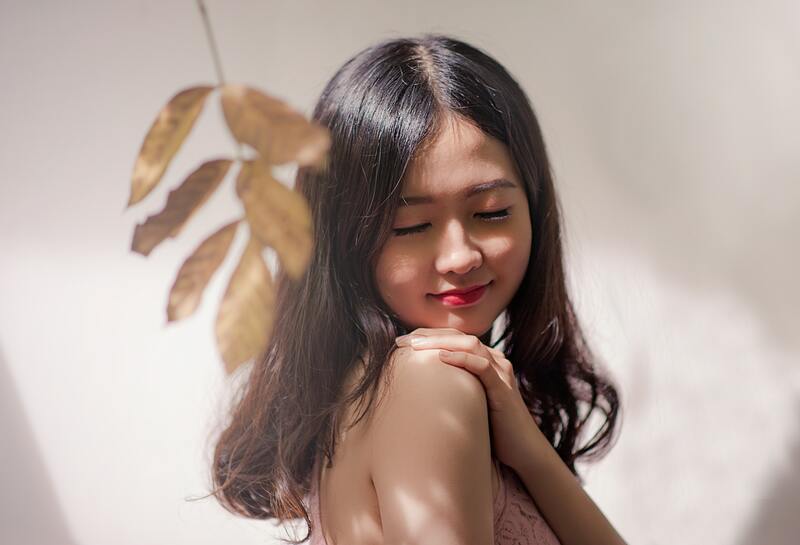 You must give your skin time to heal before you derma roll again. 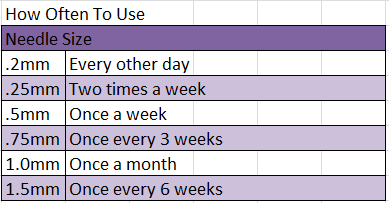 Below is a chart to give you an idea as to how often you should do micro needling at home.